 Customer Service Training Australia trains many of Australia’s leading Government, Corporate and Small Business Help and Service Desks nationally. Regardless of your team’s focus being on Inbound or Outbound calls we can help to streamline your current processes and improve call times and effectiveness. Our proven techniques are used to control the customer in a variety of circumstances as well as reduce the pressure on your staff members. Whilst there is often similarities with the issues that our clients and their team members encounter no two situations are ever identical hence we need to tailor our courses to meet your specific needs. Interestingly for many of our clients its three “internal” client interactions that are often more stressful and confrontational. Please advise us of your specific concerns and training objectives. Specifically tailored depending on the needs and demands of your clients. This popular course is suitable for all businesses. Fully interactive the course will teach your team the most important aspects of dealing with your firm’s external and internal customers. A great opportunity for team bonding. Customer Service Training Australia has been providing improved customer service interplay skills and call management techniques to some of Australia’s largest IT Help Desks and Managed Services Groups for many years. Let us show your highly skilled team how to deal with clients who may not always be as technically proficient in an assertive, efficient and friendly manner. Your staff will learn innovative techniques for call control and customer retention. With call centre environments staff must be able to efficiently handle a multitude of calls and at the same time process copious information and utilise your CRM. Few employees are trained to provide truly valuable customer interplay that will leave their customers feeling decidedly special and fully satisfied. There are many tangible benefits that occur following our fully interactive sessions. Your staff will become more confident and assertive when dealing with a variety of situations and team members will have learned targeted techniques for controlling the customer. Call times and escalations will be reduced due to a deeper understanding of customer interplay techniques.